I’m afraid this animated feature wasn’t really my cup of tea. The story was rather unimaginative and uninteresting, the inherent social criticism too on the nose, and the characters very one-dimensional and not particularly interesting and/or likeable. Mostly though, I didn’t care for the animation style all that much. Even in scenes where nothing was going on, it was very fidgety, with the constantly shifting lines. Furthermore, the longer the movie went the more abstract it got, until it reached a point where it was nigh impossible for me to discern what is supposed to go on. Thus, it unfortunately started to get tiresome rather quickly. Now, the voice cast – obviously – is awesome; not just top-class, but also doing a great job depicting their characters. 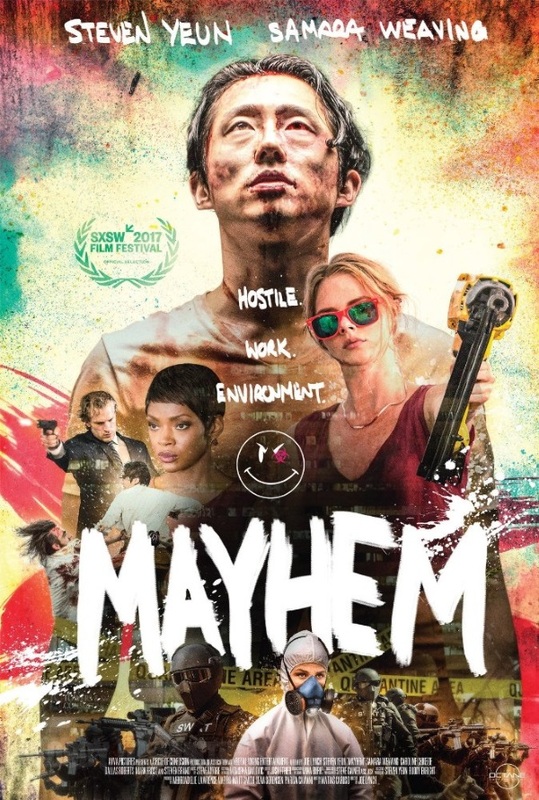 And there were a couple of nice gags and funny lines throughout the movie which burst through my boredom at least occasionally. 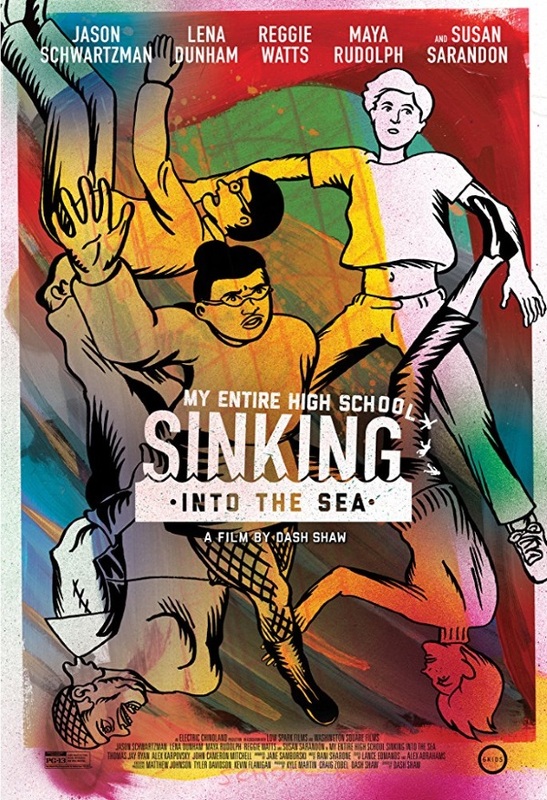 Mostly, though, I found “My Entire High School Sinking Into the Sea” to be rather tiresome, despite its short running time. The fact that I reached the movie theater rather rested (it was the first screening of the day, after all), and afterwards would have been ready to crawl back to bed, speaks volumes. Then again, maybe the animation style will speak more to you than it did to me. Thus, it’s probably best to give the trailer a try, and see for yourself. But for me, in this case, the trip to the theatre wasn’t really worth it. This entry was posted in /slash, cinema 2017, movie reviews, new releases and tagged /slash, /slash 2017, 2017, animation, Dash Shaw, Jason Schwartzman, Lena Dunham, Maya Rudolph, My Entire High School sinking into the sea, Reggie Watts, Susan Sarandon. Bookmark the permalink.